We chose to rent these MEC Camper tents because of their durability, waterproofness and simple set-up. We continue to stand by that decision! 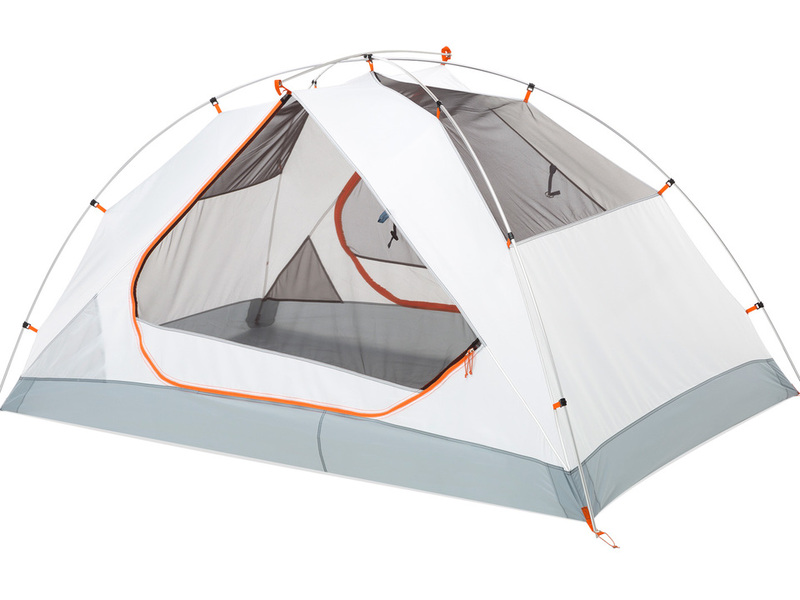 This is a 2-person tent (best if you know each other well) with two entrances and two vestibules. There's no fly shown in this photo.